We take on your perspective—we share your concerns and objectives. Since 1951, we have been gaining our customers trust and loyalty by exemplifying ownership and accountability through our quality construction, design and consulting services. I not only recommend them highly as sound builders and developers, but as long term partners as they clearly have the know-how and talents to survive in ever-changing and difficult environments.  — Raymond J. Schneider – President Central Florida Blockbuster Video, Ltd. 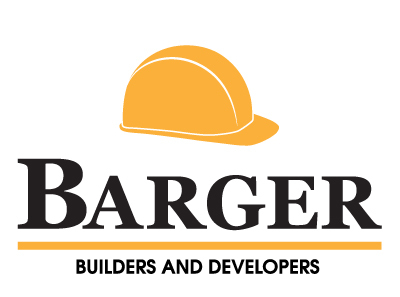 I find Barger Builders and their staff serious professional builders and developers. They exhibit good judgment, discipline and the kind of integrity that has allowed us on occasion to make substantial purchase and leasing arrangements via telephone… I not only recommend them highly as sound builders and developers, but as long term partners as they clearly have the know-how and talents to survive in ever-changing and difficult environments. Our employees and customers have had nothing but praise for the design and functionality of the building.  — Bob Ferris – EIDSCHUN Engineering, Inc. The project was completed sooner than we expected and the work done was typical Barger quality. Our employees and customers have had nothing but praise for the design and functionality of the building. The buildings were delivered in a timely manner so that we were able to complete our projects within the allotted timeframe. The buildings were delivered in a timely manner so that we were able to complete our projects within the allotted timeframe. We could consider Mid County (Barger) for any metal buildings for future ventures. Mid County (Barger) performed the job on schedule, phased the job to maximize continued use of the existing space during renovation, and performed quality work. We found them to be responsible financially and personally and to operate at the highest ethical standards.  — Lee R. Kemberling – CEO Kemco Systems, Inc. Mid County (Barger Builders) saved us a considerable amount of money with their tremendous know how and experience….The project was complete ahead of schedule. We found them to be responsible financially and personally and to operate at the highest ethical standards. Barger Builders has been one of the most honorable and professional companies I have dealt with in over twenty years doing business. They are pleasure to work with. They made the construction of our new warehouse almost hassle-free. When there was a problem it was quickly resolved. They were always promptly tending to any questions, problems or difficulties we had in understanding the construction process. With their abilities and the presence on site, they were always promptly tending to any questions, problems or difficulties we had in understanding the construction process. A top quality organization with great expertise. Barger Builders is a top quality organization with great expertise that extends from the minor renovations and repair up to the biggest, most sophisticated commercial buildings. The Bargers are better all the way around. I have been associated with construction for over 50 years and served with the Seabees in WWII. I have to admit that John Barger’s quality, service, efficiency and price makes me quit bragging about the SeaBees. The Bargers are better all the way around. We could not be more pleased with this company. We could not be more pleased with this company. Their work was finished ahead of schedule saving us considerable amount of time and money in our relocation on both the building and expansion. Barger Builders provided outstanding management for the project and were very responsive to Eckerd requests when changes were necessary. I am very confident in recommending Barger Builders as a General Contractor to others in my industry. I am pleased to commend Barger for their quality work preformed on the recent addition to our distribution center…to compliment your staff and organization for the excellent service we received during the project. You were extremely responsive and efficient in resolving problems…I am very confident in recommending Barger Builders as a General Contractor to others in my industry. Once we retained Barger everything went so smoothly for us, it was truly unbelievable. Barger has been a wonderful company to work with throughout the renovation of the Woodlawn building. Once we retained Barger everything went so smoothly for us, it was truly unbelievable. I would choose Barger Builders for construction requirements we may have. They complete the task within a set budget and according to the time schedule. I would choose Barger Builders for construction requirements we may have. The project was complete well within our completion schedule and budget, and the quality of work was excellent. The project was complete well within our completion schedule and budget, and the quality of work was excellent. I would call on Barger Builders again for any construction work I might need in the future. Their commitment to quality and customer satisfaction continues to be their trademark. Barger builders have successfully completed seven projects in five counties in Florida. In each case the projects were completed within the projected timeframe and within the budgeted amounts. Their commitment to quality and customer satisfaction continues to be their trademark. I would highly recommend them for any project, large or small. Barger Builders lived up to their reputation as once of the premier General Contractors in the area. I would highly recommend them for any project, large or small. We found Barger Builders to be professional, skilled and value-oriented and would recommend them for developments of this type. I recommend them as a qualified, dedicated general contracting firm. The staff responded quickly with the most conservative solutions….I recommend them as a qualified, dedicated general contracting firm.